“My son’s not OK," Sherron Paige said. “My son has to suffer. And they need to take responsibility for that. Mayor de Blasio said earlier this week children have not suffered as a result of his administration’s failure to perform mandated annual lead paint inspections in thousands of NYC Housing Authority units throughout the city. But at least one family suing the city in federal court begs to differ. Melissa Russo reports. Mayor de Blasio said earlier this week children have not suffered as a result of his administration’s failure to perform mandated annual lead paint inspections in thousands of NYC Housing Authority units throughout the city. But at least one family suing the city in federal court begs to differ. The class-action suit filed last month claims NYCHA knowingly and intentionally neglected its obligations to perform lead paint inspections, notify residents of hazards and remedy problems. It alleges that pattern disproportionately harms low-income families in violation of the Fair Housing Act and seeks unspecified compensatory, punitive and exemplary damages. Lead plaintiff Sherron Paige claims her son Kyan Dickerson was poisoned by lead in their home in the Red Hook East Houses. She says the boy was diagnosed with lead poisoning in July, after a routine blood test found elevated blood lead levels at 12 microgram per deciliter. Any reading greater than 5 micrograms per deciliter is considered dangerous, according to the Centers for Disease Control and Prevention. 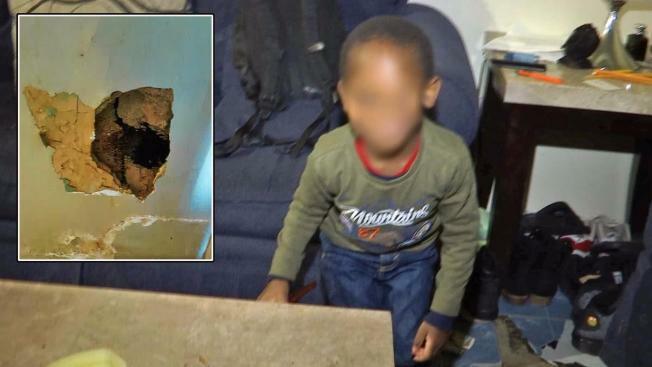 Kyan lived in his apartment for his entire life, but in the past two years his mother claims the housing authority saw and ignored a gaping hole in their walls after a pipe burst. New York City housing inspectors are rushing to perform mandatory inspections for lead at NYCHA buildings. Melissa Russo reports. Her attorney, Corey Stern, says that because Paige’s building is known to have had lead paint in the past, the hole should have been a red flag that the apartment needed immediate inspection and abatement. It was not inspected. 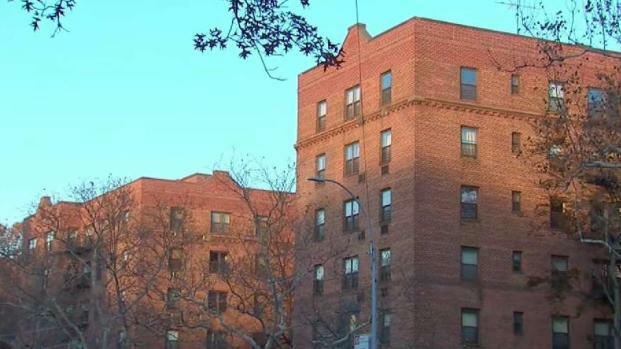 Documents obtained by the I-Team found that after Kyan’s bloodwork came back with dangerous lead levels, NYCHA disputed the Department of Health’s findings of lead hazards in the apartment, further delaying remediation. Paige tells the I-Team her son has speech delays, difficulty focusing and behaves aggressively. A recent report from the city’s Department of Investigation found that NYCHA had stopped doing required annual inspections of all apartments where children age 6 and younger reside that are suspected of having lead contamination. The report said the mandated annual inspections stopped in 2012, under then-Mayor Michael Bloomberg. The de Blasio administration did not resume the inspections, but falsely claimed in federal paperwork that the city was in compliance with the law when it was not, the DOI report found. NYCHA has pledged sweeping changes in the wake of that report, and city officials said that childhood lead poisoning has declined by 90 percent since 2005. "The NYC Department of Health makes the final determination on abatement of all lead based paint hazards in both public or private housing," said Herminia Palacio, the deputy mayor for health and human services. Data on the number of lead poisoned children in NYCHA so far in 2017, when Kyan’s mother says the boy was poisoned, are not yet available, the city says. At a news conference on Monday, de Blasio focused on a three-year period – 2014, 2015 and 2016 – and said only four children living in NYCHA apartments tested with elevated lead levels. His deputy mayor called the I-Team Wednesday to say those numbers were incomplete – that six children had been lead poisoned in NYCHA homes during that time. At that Monday briefing, the mayor acknowledged NYCHA’s failure to conduct required inspections on both Bloomberg’s watch and his own. He said it never should have happened and should have been caught sooner. But he said the children who have been lead poisoned have not had medical consequences. "Thank God there has not been harm done to any child because of the mistakes that were made," he added. Research shows exposure to elevated lead levels can lead to problems with learning and reading, delayed growth and hearing loss, according to the American Academy of Child and Adolescent Psychiatry. High lead levels can cause permanent brain damage, the group says. And even small amounts of lead can cause children to appear inattentive, hyperactive and irritable. Paige wants to know how the mayor can say there’s been no harm done. Stern echoed his client’s question. He said that if the apartments were never inspected, many families would never know to have their children tested for lead in the first place.